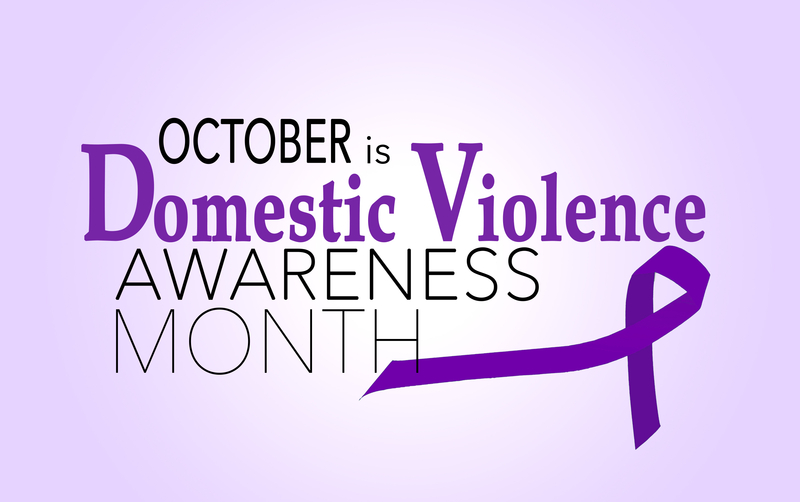 To mark the beginning of Domestic Violence Awareness month, GFWC’s annual Success for Survivors Scholarship opened on October 1. Share the application in your community to change the life of a survivor who’s pursuing higher education. This administration, the GFWC Signature Program Committee is challenging State Federations to raise awareness and benefit domestic violence shelters in their states by having a “purse contest” at their annual state conventions. Collect gently used purses and fill them up with toiletries, health and beauty products, jewelry, items for kids, and any other products needed by your local shelter. Using a purse is a good way to make each donation feel thoughtful, personal, and enjoyable for the woman who receives it. Whatever event or project you do, use our Press Release Template to spread the news in your community! Last week we announced the passing of Patrice Booze. Her family wishes for any donations in her memory to be made to Bethany House Services, which assists homeless and at-risk women and children to re-enter the workforce and achieve long-term self-sufficiency. You may donate online or mail to Bethany House Services, 1841 Fairmount Ave., Cincinnati, OH 45214. The Woman’s Century Club of Nampa (Idaho), the GFWC Temple Terrace Woman’s Club (Florida) and the GFWC High Springs New Century Woman’s Club (Florida) are featured on GFWC’s Blog. GFWC has formed International Affiliates worldwide since 1890. The first was in Bombay, India and most recently in Uganda, Africa and Belmopan, Belize this year. Economics, wars, changes in society and leadership have occurred, but GFWC members have remained engaged. Our International Affiliates have participated in Community Improvement Programs and other leadership opportunities, written prose and poetry, and attended GFWC’s Annual Convention. And through technology, clubwomen have become more closely connected across the globe and able to share their positive experiences of belonging to GFWC within minutes. October’s theme for GFWC’s Thank You Tuesday campaign is “International Affiliates.” Share what international opportunities GFWC has given you on @GFWCMembers. Last weekend, GFWC Arizona participated in the annual St. Jude Walk/Run to End Childhood Cancer in Phoenix, AZ. Thanks to a generous donation from the GFWC Washington Woman’s Club, the GFWC Arizona team ranked in first place for donations, contributing $10,570! Members and family of the GFWC Paradise Valley Junior Woman’s Club represented the state and finished the 5K walk in just over an hour! 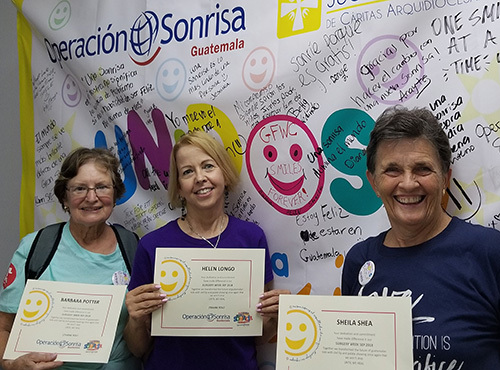 Three GFWC representatives recently attended an Operation Smile mission and were able to see how donations of money and handmade goods from supporting clubs are being put to use. Helen Longo, Barb Potter, and International Past President Sheila Shea were in attendance in Guatemala City and had the privilege to support children and their families. Virginia ranked 15th in the United States for the most reported cases of human trafficking in 2016, in part due to easy access to multiple interstates. By partnering with the Richmond Justice Initiative (RJI), the 2018–2020 GFWC Virginia State Project will raise awareness of the state’s human trafficking problem and educate communities on prevention. RJI’s Prevention Project, already prominent in schools and church groups statewide, teaches youth to recognize and resist the lures of trafficking and develop leadership skills and life goals. 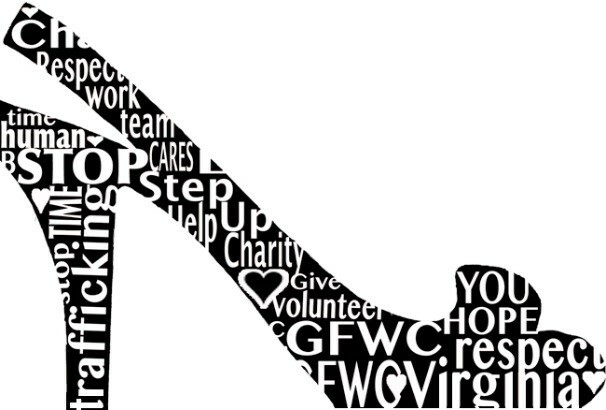 GFWC Virginia will also fundraise for programs supporting teenagers who have been rescued from the prostitution trade. A set of eight notecards with a black and white word shoe will be available for purchase. The Virginia Federation’s dues and contributions form also has a space for clubs to contribute to the President’s Project. RJI will receive a check of all proceeds that GFWC Virginia has raised at the end of the Administration. Over time, the platform that GFWC has used for its app has increasingly experienced performance issues, preventing GFWC from providing a quality user experience. GFWC is in the process of identifying ways to enhance its online offerings throughout the year and during the GFWC Annual Convention. We have discontinued the app until further notice. We regret to inform you that the Junior Volun-Tour to Punta Cana has been cancelled due to not meeting capacity to secure the group rate. 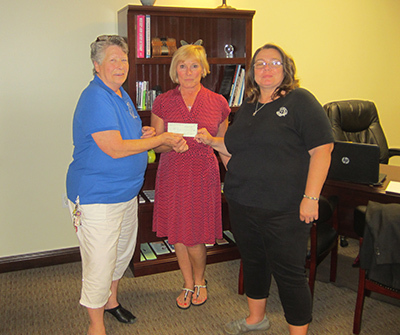 The GFWC Cartersville Woman’s Club (Georgia) formed a committee with other community organizations to raise funds for the local shelter. They held a tea, a less-costly event that offered a higher profit margin than a luncheon or dinner, and which also paid homage to the roots of the woman’s club. The tea raised approximately $5,000 for the shelter and raised awareness of the issue of domestic violence in the local community. Host your own benefit tea! The project was listed in the GFWC Top 10 Projects. Not from Robert’s Rules, but did you know…? Many questions this parliamentarian is asked are not really parliamentary in nature, but do affect every day club life. Name tag on right, pins on left. To remember, pretend to salute the flag, and if you feel your name tag, that’s wrong. Also, wear your pins with the most important one the uppermost. While there are many places that will tell you how to seat people at the Head Table, remember that the presiding officer has the final say. If she wants the recording secretary to her immediate right, rather than the highest-ranking guest, etc., that is her prerogative. We all rise in a show of respect when certain people are presented. However, this is only necessary the first time that person is presented, not every time they are presented at the same meeting. Each member of a club should have a copy of the club bylaws and standing rules. State bylaws can usually be found in a yearbook, annual publication, or on the state website. GFWC Bylaws can be found on GFWC.org under “Who We Are” or under “B” on the GFWC Resources page. A president should never say “my administration,” “my executive committee,” “my special project,” etc. They don’t belong to her. Properly, she should say “the 2018-2020 administration” or “the executive committee.” We’re all in this together. Every state should have a bylaws committee examine the current bylaws at least every other year. Things change, and things sometimes need to change. State publications, newsletters, meeting notices, and calls are sent to club presidents. They can’t stop there. One of the duties of a club president is to share this information with her members. This includes making a copy of Clubwoman magazine available to members. This popular button features the tagline Living the Volunteer Spirit. Measuring 2.5 inches in diameter, it includes the classic design with an updated twist. Wear this button wherever you go to show others the difference you make in your local community and around the world. Available for $3 each at the GFWC Marketplace.